Home » Food and Nutrition » Flaxseed Oil vs. 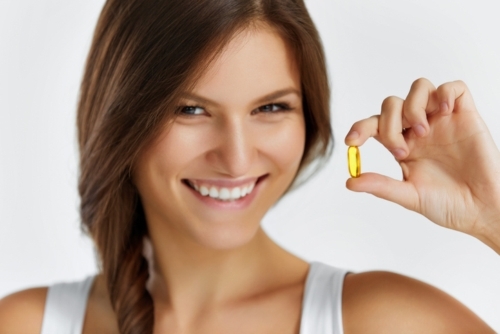 Fish Oil: Which is the Best Omega-3 Source? It’s vital that you get omega-3 fatty acids (1) from the diet, and many Americans fail to get the right balance of omega-3s and omega-6s. The Standard American Diet is a key factor in this imbalance because the average American consumes too many foods high in omega-6s such as fried foods, fast foods, meats, dairy, and vegetable oils, and not enough omega-3s. What type of omega-3 fatty acids should be a part of the diet? Among the main sources of omega-3s are flaxseeds and flaxseed oil, and fish and fish oil. When it comes to flaxseed oil vs. fish oil, which omega-3 source is best? Flaxseed oil and fish oil contain different types of omega-3 fatty acids, so they each have different effects on the body. Fish and fish oil contain omega-3s known as docosahexaenoic acid (DHA), and eicosapentaenoic acid (EPA). On the other hand, flaxseed and flaxseed oil contain alpha-linolenic acid (ALA) (2). The human body does not make EPA, DHA, or ALA, so we have to get these nutrients from our diets. There are pros and cons to taking both polyunsaturated omega-3 fatty acid (3) oils. Let’s examine flaxseed oil vs. fish oil omega-3 sources to help you make an informed choice as to which oil to choose. 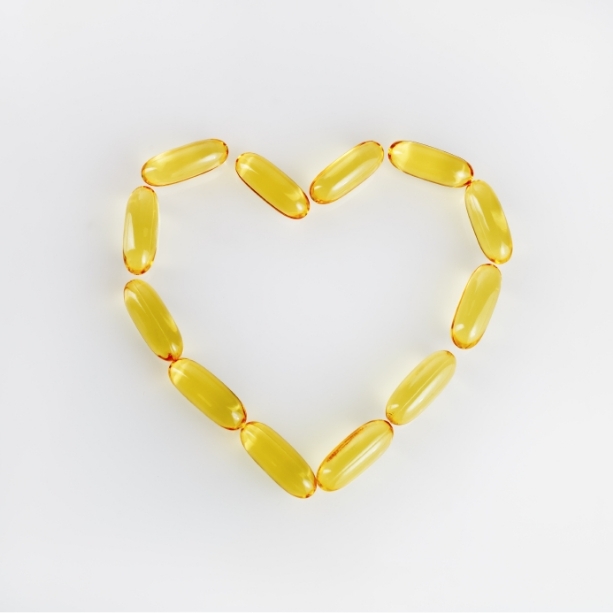 Why choose fish oil? Basically, there are certain benefits you can get from DHA and EPA that the body fails to obtain from ALA. EPA and DHA are long-chain omega-3 fatty acids found in mostly fatty fish such as salmon, tuna, sardines, herring, rainbow trout, and mackerel. The only plant-based source of EPA and DHA is marine algae. There are also different varieties of fish oil available, including fermented cod liver oil and krill oil. Fish oils are high in both DHA and EPA, which is useful for brain health. Although there isn’t a set recommendation of DHA and EPA, certain people are at risk of DHA and EPA deficiencies such as pregnant women, vegetarians, vegans, people with compromised digestion, and people avoiding fat. People with deficiencies in DHA and EPA are also more susceptible to health problems such as skin, cardiovascular, and neurological disorders. What about flaxseed oil? Flaxseed oil (4) is sourced from the seeds of the flax plant, and it contains a combination of omega-3 and omega-6 fatty acids. ALA is found in flaxseed, flaxseed oil, walnuts, cauliflower, cabbage, broccoli, Brussels sprouts, and romaine lettuce. Flaxseed oil is thought to contain 50% to 60% ALA. ALA is the precursor to EPA and DHA, and the body converts ALA to DHA and EPA. However, EPA and DHA needs are not met from the consumption of flaxseed oil and other ALA plant-based sources. Studies have found that ALA consumption will only slightly increase DHA levels, but will give an adequate boost of EPA. It’s estimated that the body will only convert 2% to 5% of ALA into DHA, and 5% to 10% of ALA into EPA. In other words, you will have to consume much larger amounts of flaxseed oil to obtain the amount of DHA and EPA found in fish oil. Flaxseed Oil vs. Fish Oil: How Do the Benefits Compare? 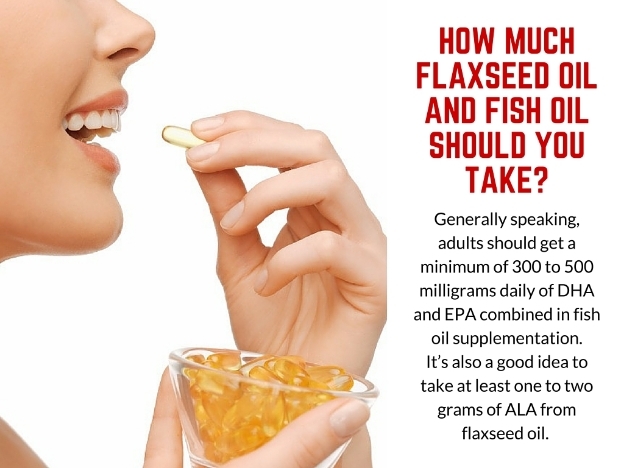 The conversation of flaxseed oil vs. fish oil is really a debate about ALA vs. DHA and EPA. Simply put, the DHA and EPA in fish oil is more effective for health when compared to the ALA in flaxseed oil, according to the research. There is also a limited amount of supportive evidence on flaxseed oil. 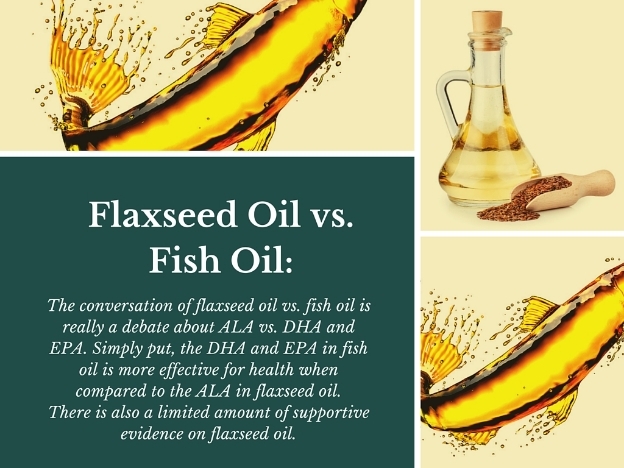 Let’s compare some of the research on flaxseed oil vs. fish oil. Flaxseed oil and fish oil may not only help you lose weight, but build muscle by inhibiting the breakdown of muscle proteins. 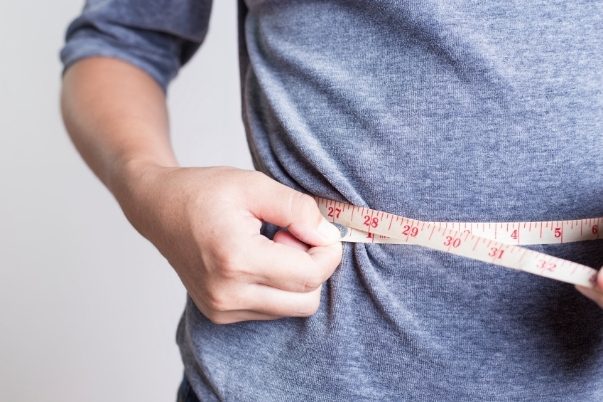 What does the flaxseed oil vs. fish oil weight loss research tell us? In a study published in the journal Diabetologia in 2005, mice supplemented with DHA and EPA had significantly lower body weights and visceral fat when compared to mice on the flaxseed oil. Also, a study published in the Nutrition Journal in 2015 found that flaxseed oil would help the participants lose weight. This could also mean that there are benefits to flaxseed oil and fish oil for bodybuilding, as these oils not only help you lose weight but may also help build muscle by inhibiting the breakdown of muscle proteins and increasing the release of growth hormone. Research shows that DHA and EPA from fish oil reduces inflammation and prevents cardiac dysfunction better than flaxseed oil. What about flaxseed oil vs. fish oil inflammation research? In a study published in the journal Cardiovascular Research in 2009, researchers concluded that the DHA and EPA from fish oil reduced inflammation and prevented cardiac dysfunction better than flaxseed oil (5). However, some population studies suggest that the ALA in flaxseed oil reduces high blood pressure and the overall incidence of heart disease deaths. Researchers found that fish oil helped improved joint function in rheumatoid arthritis patients. 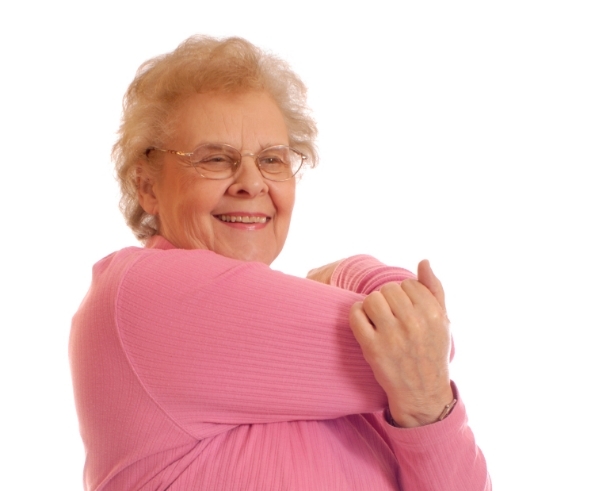 Studies have been supportive of fish oil for rheumatoid arthritis patients. In a study published in the journal Arthritis and Rheumatism in 1995, researchers found that fish oil improved joint function in rheumatoid arthritis patients, however the evidence overall is not so compelling (6). Another study, also published 1995 in the journal Rheumatology International, found that three-month supplementation with flaxseed oil was not considered beneficial in 22 patients with rheumatoid arthritis (7). There are also a number of other benefits derived from the use of fish oil. A connection between fish oil and Alzheimer’s disease has been known for years, and with consistent results. In a study published in the journal Alzheimer’s & Dementia in 2010, the DHA in fish oil was found to improve learning and memory in age-related cognitive decline, which is associated with Alzheimer’s disease (8). Fish oil can be used in the treatment of certain cancers such as prostate, colon, and breast. A study published in the journal PLOS ONE in 2014 found that EPA and DHA in fish oil reduced the risk of prostate cancer (9). In a study published in the European Journal of Neuroscience in 2014, researchers found that fish oil effectively treated depressive and anxious behaviors in rats (10). Other studies suggest that higher amounts of DHA and EPA from fish oil can reduce symptoms of major depression disorder by 40%. 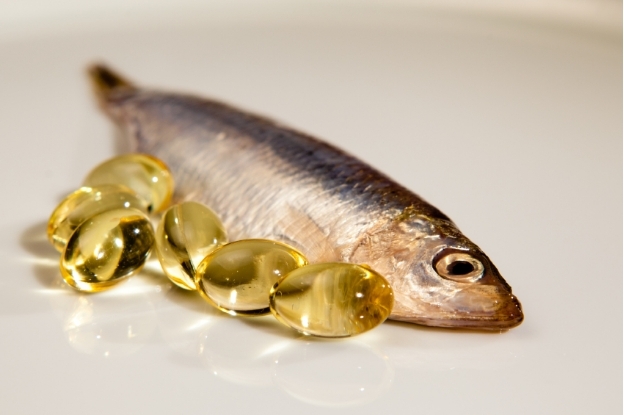 Fish oil has also been able to successfully treat cataracts, dry eyes, and age-related macular degeneration (AMD) (11). In a study published in the journal Investigative Ophthalmology & Visual Science in 2014, researchers concluded that people at risk for neovascular AMD should supplement with fish oil (12). Fish oil is also effective for behavioral disorders such as autism spectrum disorder and attention deficit hyperactivity disorder (ADHD). Fish oil is a popular supplement in autism treatment, and studies also confirm that fish oil can help manage the symptoms of ADHD. Fish oil can also benefit skin and hair health, pregnancy and fertility, arrhythmias, chronic sinusitis, benign prostate hyperplasia, menorrhagia, Lyme disease, multiple sclerosis, inflammatory bowel disease, metabolic syndrome, migraines, neck pain, osteoporosis, Parkinson’s disease, uterine fibroids, and fibromyalgia. Although not as effective, there is also some research that supports flaxseed oil benefits. Flaxseed oil has been found to be effective for people suffering from inflammatory bowel disease symptoms, especially chronic diarrhea and constipation. Several studies have found that flaxseed oil can calm the inner lining of inflamed intestines. Flaxseed oil is also thought to lubricate the colon by working as a natural laxative to help relieve constipation. In a study published in the Journal of Ethnopharmacology in 2015, researchers found that flaxseed oil can benefit the digestive system in multiple ways by stopping diarrhea and relieving constipation (13). What about flaxseed oil vs. fish oil for dry eyes? Flaxseed oil has a leg up in this category. Sjögren’s syndrome is an autoimmune disorder characterized by dry eyes and a dry mouth. In a Brazilian study published in 2007, researchers found that oral flaxseed oil capsules greatly improved dry eyes in Sjögren’s syndrome patients. A randomized, double-blind, crossover study published in the Nutrition Journal in 2015 indicated that flaxseed oil produces lower small dense LDL (low-density lipoprotein) concentrations (14). In the study, 15 participants ingested either 10 grams of flaxseed oil or corn oil. Flaxseed oil contained a greater amount of ALA.
Flaxseed oil is a component of natural treatment and prevention diets for cancer. A study published in the journal Experimental Cell Research in 2015 found that the ALA in flaxseed oil reduced the growth of breast cancer cell lines through the modification of signaling pathways. Another 2015 study published in the journal Nutrition and Cancer supported flaxseed oil as a complementary treatment for breast cancer (15). The study found that the ALA in flaxseed oil induced cancer cell death and reduced cancer cell growth. The ALA in flaxseed oil is also thought to reduce eczema, fight cellulite, reduce the risk of heart attacks, promote skin health, decrease menopause symptoms, and aid in the growth of nails and hair. Flaxseed Oil vs. Fish Oil: What Is the Dosage? The recommended dosage of fish oil or flaxseed oil depends on the condition being treated and how many fatty acids you’re getting in your diet. Although there is a standard recommendation, generally speaking adults should get a minimum of 300 to 500 milligrams daily of DHA and EPA combined in fish oil supplementation. It’s also a good idea to take at least one to two grams of ALA from flaxseed oil. Flaxseed Oil vs. Fish Oil: Any Problems? As with whole fish, there is a concern that fish oil may contain contaminants such as pesticides, dioxins, and heavy metals including mercury and lead. Some also believe that the process used to remove contaminants from fish oils is destructive to the oil quality. With any oil, it’s a good idea to look for “cold-pressed” or “unrefined” on the label; this means that the oils were not exposed to bleaching, refining, and deodorizing. Liquid oils should be stored in the refrigerator, and oil capsules must be stored in a cool area such as a cupboard. Are there are any flaxseed oil side effects? It’s thought that more than 30 grams per day of flaxseed oil may cause diarrhea. Pregnant women should avoid flaxseed oil due to a potential increase in the risk of premature birth. People with bleeding disorders should avoid flaxseed oil due to its blood-thinning effect. Fish oil may also cause bleeding in liver disease patients, low blood pressure, fish allergy reactions, an irregular heartbeat, blood sugar problems, and an increased cancer risk in those with familial adenomatous polyposis. Fish oil may increase the symptoms of bipolar disorder and depression, and both fish oil and flaxseed oil may interact with cholesterol medications, topical steroids, non-steroidal anti-inflammatory drugs, blood thinners, and diabetes medications. Which Oil Comes Out on Top? When it comes to EPA, DHA, and ALA, instead of using flaxseed oil or fish oil, it may be a better idea to just get omega-3 fatty acids from food (i.e. fatty fish). When it comes to flaxseed oil vs. fish oil, unless you’re vegan, fish oil may be the way to go because of its DHA and EPA content. That said, the ALA in flaxseed oil has several health benefits as well. However, when it comes to EPA, DHA, and ALA, instead of using flaxseed oil or fish oil, it may be a better idea to just get omega-3 fatty acids from food. This way you also get other beneficial nutrients. For example, fatty fish contains B vitamins including B3, B6, and B12, plus iodine, vitamin D, selenium, magnesium, tryptophan, and protein. Besides the omega-3 content of flaxseeds, they are also full of fiber, magnesium, manganese, copper, folate, and vitamin B6. Flaxseeds also contain lignans, which have been found to prevent breast cancer.